QUESTION: I’m about 2 weeks from harvesting and have a question, how do I get rid of spider mites? I mean I have a full-on spider mite explosion. I didn’t want to spray the plants with neem thinking that I’d get the buds wet and encourage bud rot, but the mites look like they’re taking over as webs starting to appear. What’s the best way to get rid of them and get my little grow room ready and ensure they don’t get into my newly sprouted marijuana plants. Jay Kitchen and Uncle Tweezy: Spider mites are terrible pests, but you can get rid of spider mites if you’re consistent. As to the first part of your question, the only thing you should be spraying on your plants two weeks out from harvest, whether you have mites or not, would be warm spring or distilled water, before the lights come on in the morning, and if you can hit them again before the lights go out. 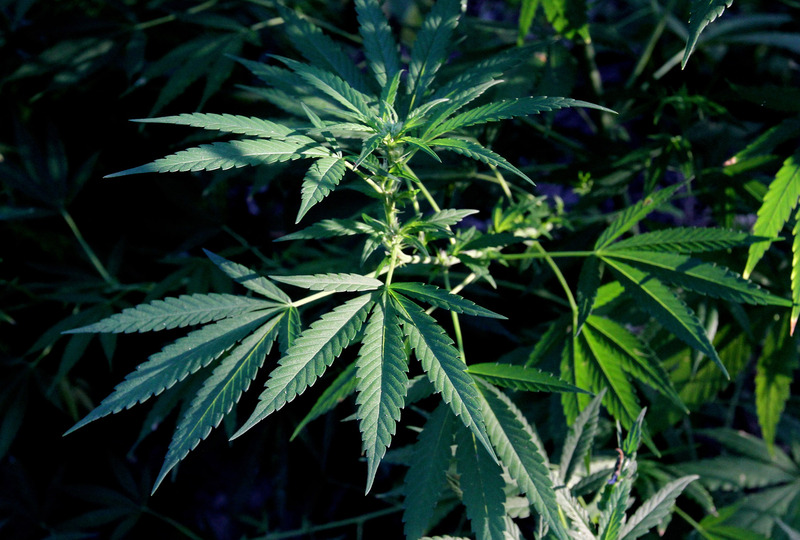 Be sure to really soak the undersides of the leaves as that is where most of the water will be absorbed by the plant. Putting anything else on them could be a real problem in term of taste and flavor. If the flowers are fully or mostly covered with webs you need to harvest immediately even if its a bit early, if you want to salvage anything from your crop. 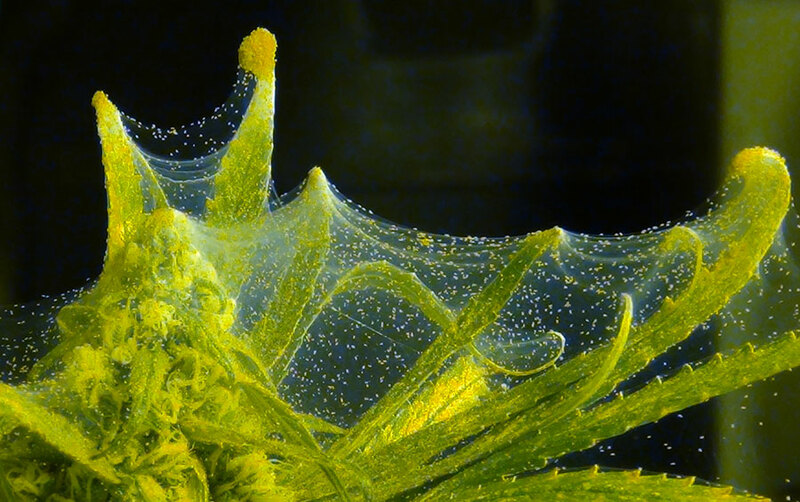 If the mites are that entrenched into your garden you may only be able to hash or convert the flowers to oil or extracts if you don’t have a problem with buggy hash—that’s what bubble bags and micron screens are for. 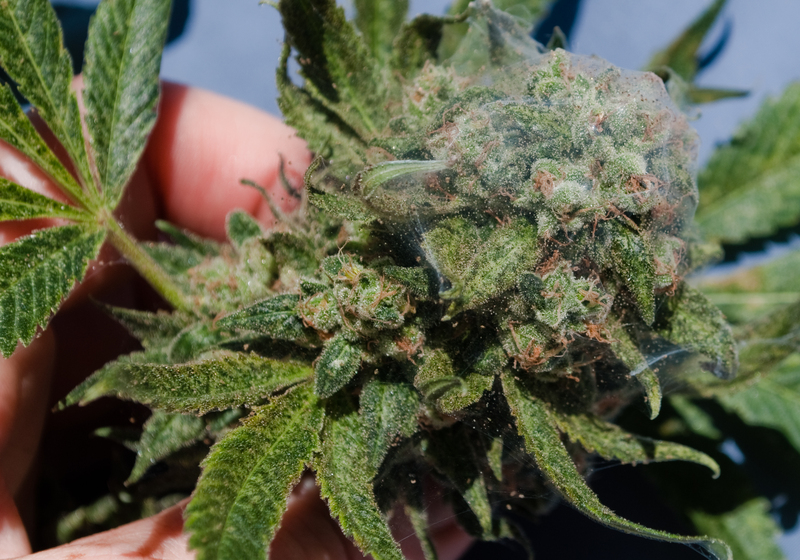 The answer to the second part of your question, how to get rid of spider mites, will result in some work but will give you some hope for the future: 1st you must clean your infested flowering chamber. You need to break both the flowering AND vegetative rooms down and clean thoroughly with bleach, soap and water. Once the cleaning has taken place, your sprouts need to be sprayed with Safer End-All , Neem Oil and Dr. Bronner’s Castile Soap —we like the peppermint version. You can also use Organocide but it has a very strong fishy odor and may not be suitable for an indoor situation. We would spray with Safer’s the first day, neem the next and Castille soap the third day and repeat for about 10 days. Sometimes we will combine all three in one mister to mix it up. A mother mite can lay thousands if not millions of eggs so you need to kill the adults, the eggs and any mite larvae. The only real way to get rid of spider mites is to spray consistently for a week or 10 days. Good luck. we are diligent as far a cleanliness goes.